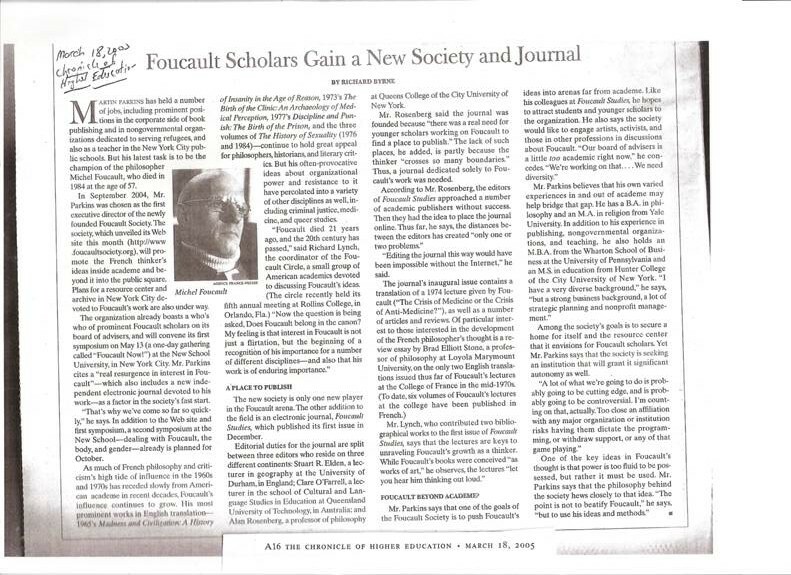 The Foucault Society was founded in 2004 and incorporated as a nonprofit organization in 2005. Click here to read an article from the Chronicle of Higher Education about the early days of the Society. To read more about the founding board of directors, click here.